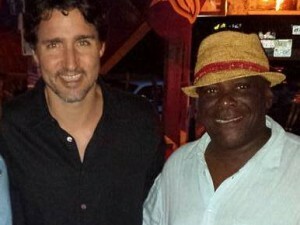 BASSETERRE, St. Kitts, March 23, 2018 (Press Unit in the Office of the Prime Minister) – The Dr. the Honourable Timothy Harris-led Team Unity Government has given its commitment to working with members of the Hispanic community to address many of the longstanding concerns that went unheard and unattended to by the former Denzil Douglas Administration. 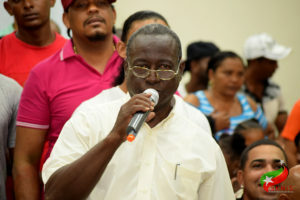 This commitment was given on Thursday (March 22) during a public forum held at the Newtown Community Centre, where Prime Minister Harris was invited to interact with and listen to the views and concerns of close to five hundred members of the Latin Community residing here in St. Kitts. After introductory remarks by Dr. Harris, which he ably delivered in Spanish, those in attendance rose to their feet one by one to have their voices heard. 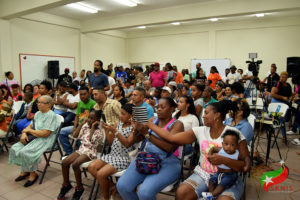 The regularization of immigration statuses, home ownership, improved security, policy shifts and education, welfare assistance and sporting development were among the matters raised by residents of the Latin Community and for which the prime minister gave commitments to address. “In our housing programme, we have said very clearly that some of the persons who will benefit will be members of the Spanish Community,” Prime Minister Harris said to a resounding round of applause. 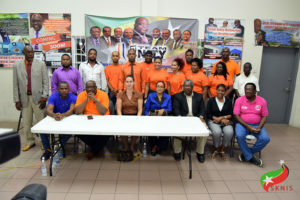 Deputy Prime Minister, the Honourable Shawn Richards; Parliamentary Representative for East Basseterre, the Honourable Ian Patches Liburd; Minister of Human Settlement, Agriculture et al., the Honourable Eugene Hamilton; Attorney General, the Honourable Vincent Byron, and Minister of State within the Ministry of Health et al., the Honourable Wendy Phipps were also present during Thursday’s meeting.